The day my friend texted me to say she’d had another miscarriage, I sat in my rocking chair and cried. The words on my phone seemed too small for the big pain they held. As the sound of my daughters’ play drifted to me from their room, I thought, “They’ll never play with this baby. I’ll never hold this baby.” In that moment, her loss became bigger. It wasn’t just her loss; it was a loss that affected the whole world. The first time a friend told me about a miscarriage, I didn’t know what to do or say. I stumbled awkwardly over words and was glad when the topic moved on. I ignored her pain because of my own discomfort and uncertainty. Miscarriage is a topic our society struggles with, despite the fact that 1 in 4 women have suffered it. I can quickly count half a dozen friends who’ve had one or more miscarriages. And they, in their pain and faith, have taught me. If you also have a friend who has had a miscarriage, here are a few simple things you can do to support her. Send flowers. Flowers are a simple, beautiful gesture that you are thinking and praying for your friend. Even if you live far away, it’s easy to order flowers online and have them delivered. Grieving the Child I Never Knew: A Devotional for Comfort in the Loss of Your Unborn or Newly Born Child by Kathe Wunnenberg is a beautiful devotional journal by a mom with babies in heaven. This hardcover book offers comfort, prayers, practical advice, and space to write about your own grief. 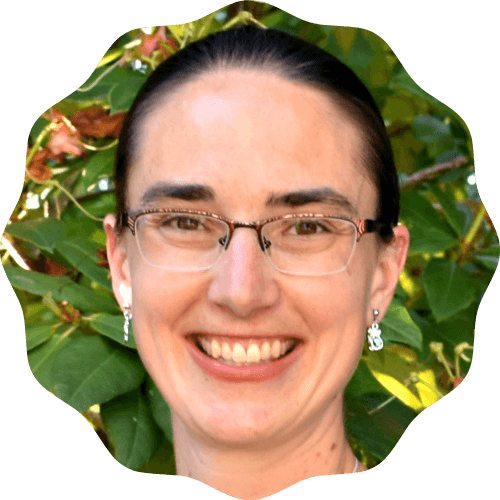 Unexpected Blossoming: A Journey of Grief and Hope by Anna Eastland is a book of poetry by a mom who lost a baby in labour. The poems were written in the year after her daughter’s death and lyrically chronicle Anna’s grieving and healing. After Miscarriage: A Catholic Woman’s Companion to Healing and Hope by Karen Edmisten (affiliate link) is a book Anna recommends. 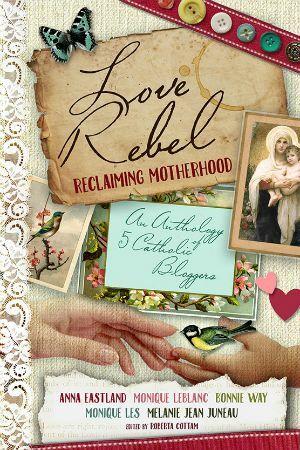 After Miscarriage shares the author’s story of multiple miscarriages, as well as other women’s story, along with practical advice and information from both secular and Catholic sources. Make a basket. Some of my friends here in Vancouver make “Mother Mary” baskets for women who’ve faced a loss. These baskets include pamphlets about grief and miscarriage, some prayer cards, maybe one of the above books, and comfort items like candles, bath salts, chocolates, tea, lotion, etc. The basket doesn’t need to be big but again offers comfort to the mom—and permission to pamper and take care of herself during this time of grief. I’m okay. And not because I’m over it, and definitely not because I am passed the grief. It’s because it was overall, a life-changing, priority-straightening, horrific experience repeated many, MANY times over, and I am here today in a better place than I was yesterday. And the day before that. And the day before that. But I didn’t do it alone. My family, my living child, and my friends – both casual and close, did all they could to help me through it. Their empathetic tears, lack of judgement, love, generosity of heart, and support is what this seemingly resilient woman needed, to face her greatest weakness. Loss. There are many moments – too many to count – in the last 3 years of my life, where I never thought I could get through it. But with these small yet profound acts of kindness, I got through the most challenging moments of my life, and continue to do so. Tomorrow (October 15th) is National Pregnancy and Infant Loss Awareness Day. If you know a friend who has suffered a miscarriage or stillbirth, call her or send her a note, flowers, or other gift. Take a moment to pray for women who suffer from miscarriage and infant loss. Have you or a friend suffered miscarriage or stillbirth? 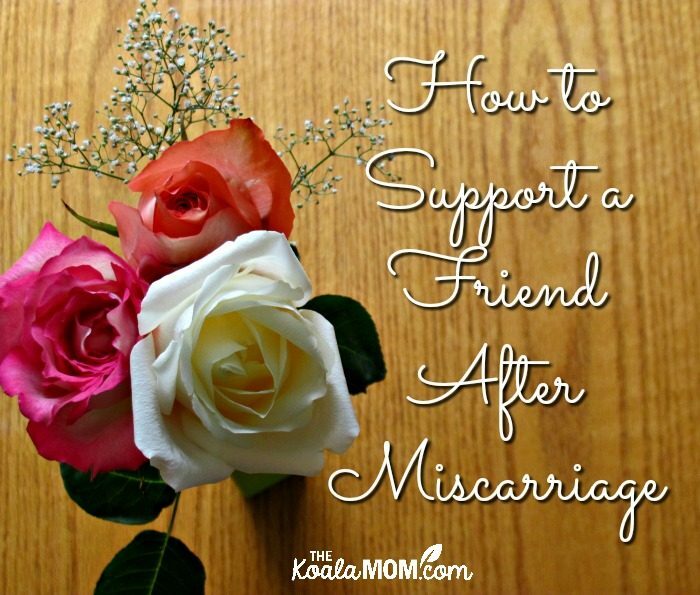 What tips would you suggest to support a friend after miscarriage? I know another way you can help a friend. Write a beautiful post about how to help friends who suffered loss and giving them validation that they are loved and supported unconditionally and with great love. Oh yeah.. you did that already (a million times over). Love you. I really do. What a beautiful post, and thank you for sharing about my book, After Miscarriage. I’m adding your friend to my prayers! Thanks so much for writing this, Bonnie. It means a lot. I have not suffered this particular kind of loss, but some of my loved ones have. This helps me to understand their sorrow better, and, I hope, to respond with greater comfort. Your piece has made a difference.